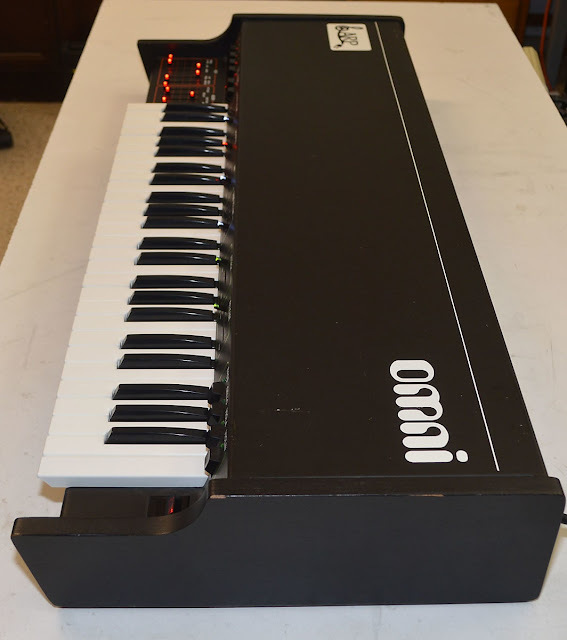 "This ARP Omni Mk I has just been fully serviced & overhauled by Synthchaser, the west coast's leading ARP specialist - recapped, new key bushings, new LED sliders, clean, fully functional, calibrated, in tune and sounding great. This keyboard is the sound of Joy Division and is all over The Cars' "Moving In Stereo", and many other late 70's/early 80's albums. 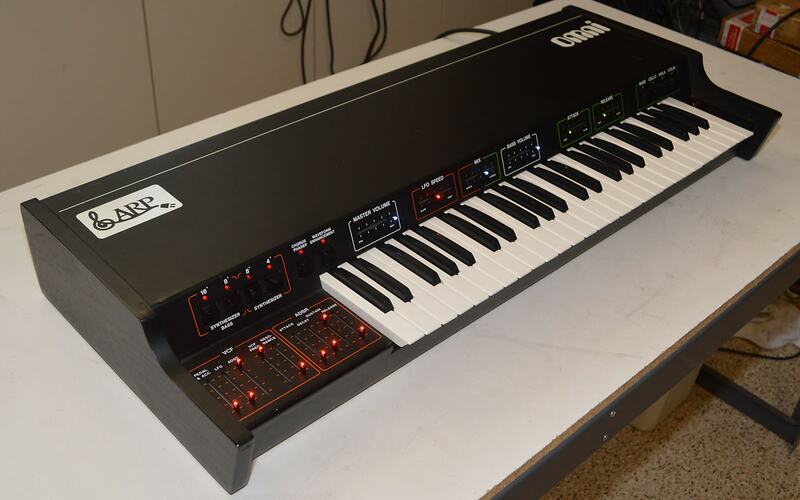 It produces the lush Solina/String Ensemble sounds plus has a polyphonic synthesizer section with a voltage controlled filter, LFO, and ADSR, and a dedicated bass synthesizer section. 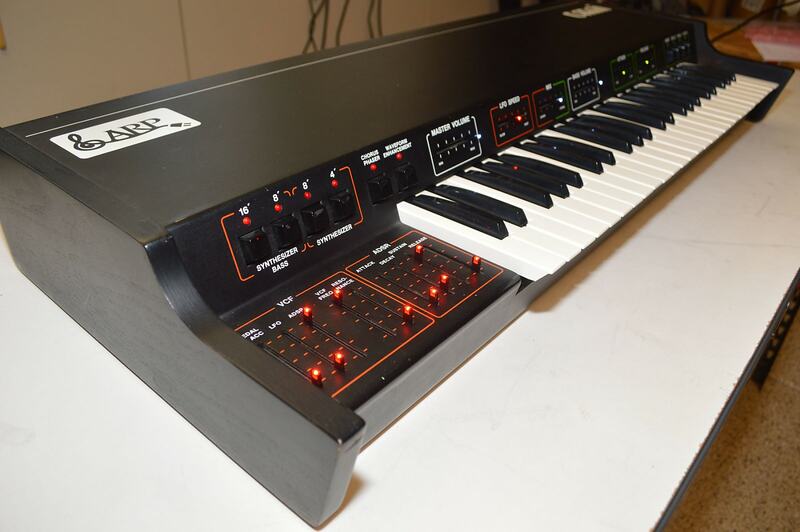 Unlike the later ARP Omni 2, the ARP Omni 1's synth bass can be routed through the 4 Pole VCF to get fat synth basses. 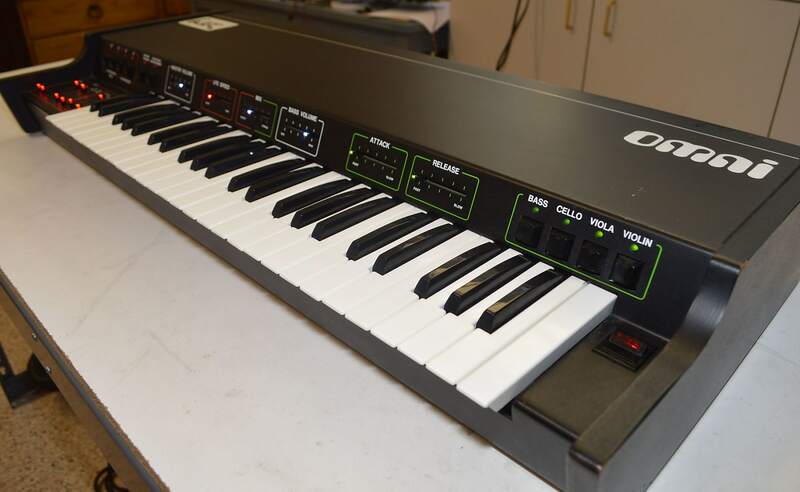 This is one of the nicer ARP Omni 1's we've come across. Case is in excellent condition with only minor blemishes/touch up. Wood side panels have been painted black. 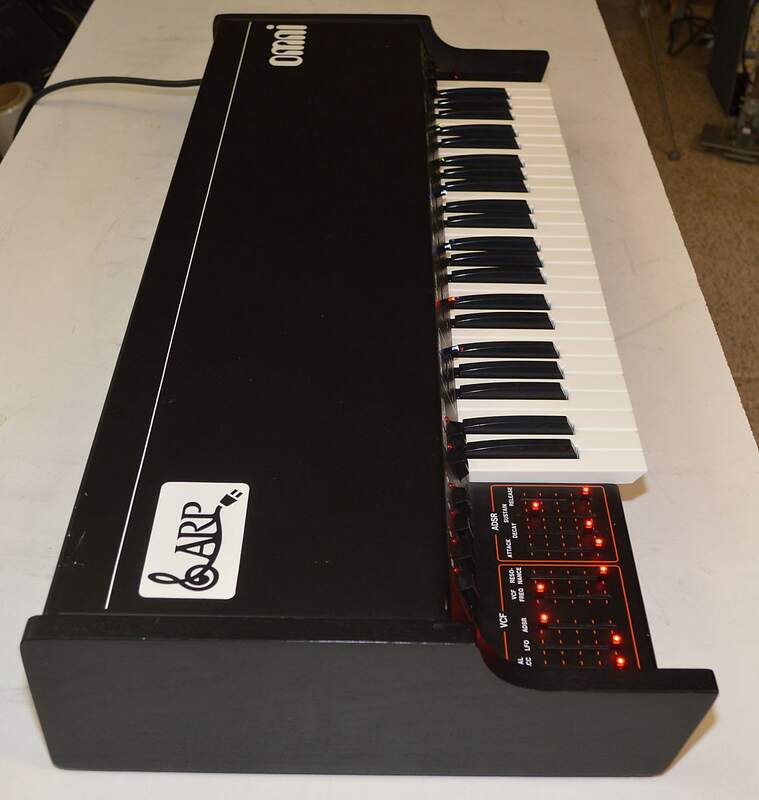 Overall amazing condition for an over 40 year old synth! Synthchaser Precision LED slider upgrade. All 15 of the old original sliders have been replaced with new, smooth, high precision LED illuminated sliders. The difference in the way these sliders feel and perform compared to the originals is a huge improvement. Power supply rebuilt - All tantalum and electrolytic capacitors in the power supply have been replaced, and high quality, high temperature 105 deg C capacitors have been used for the power supply filter capacitors. 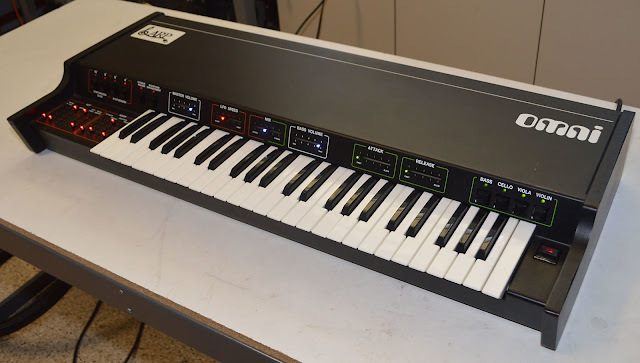 All tantalum capacitors replaced - The tantalum capacitors in ARP synths are ticking time bombs. 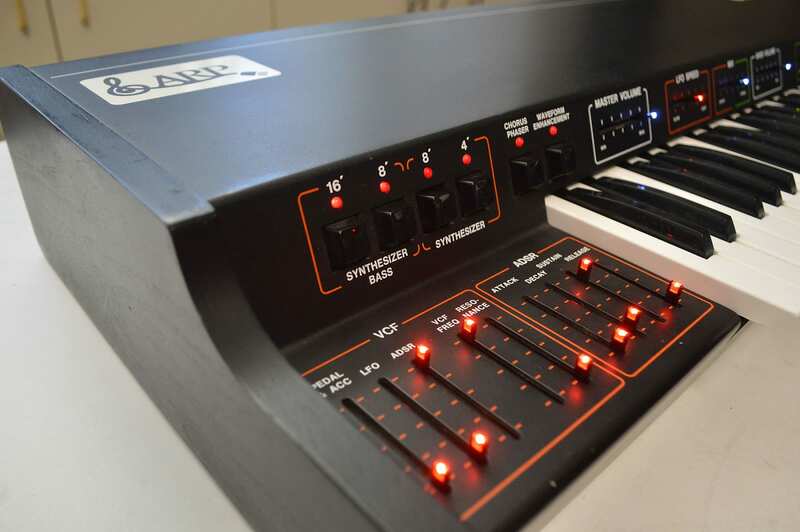 All the 100+ tantalum capacitors in this synth have been replaced with electrolytics to help provide stable operation for years to come. 4075 Filter Enhancement - The ARP Omni uses the same 4075 filter submodule found in the Odyssey, Quadra, Avatar, and Pro DGX which was designed with a calculation error that limited the cutoff frequency. This has been recapped, and corrected to provide superior frequency response. Oscilloscope calibration - Fully calibrated to factory spec using oscilloscope and frequency counter.